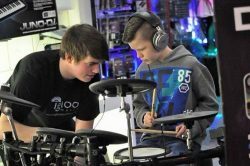 We are very excited to now be offering private drum lessons in Hampshire at Igloo Studios with exceptional musician Konnor Bracher-Walsh. Lessons are open to both adult learners and children. Playing the drums is a workout for both the body and the mind, getting hands and feet working individually whilst relieving the tensions and stresses of everyday life and hitting stuff! What’s not to love? Konnor is a highly experienced drummer, both in the studio and live onstage. He is rapidly gaining a reputation as one of the best drummers in the south and beyond. 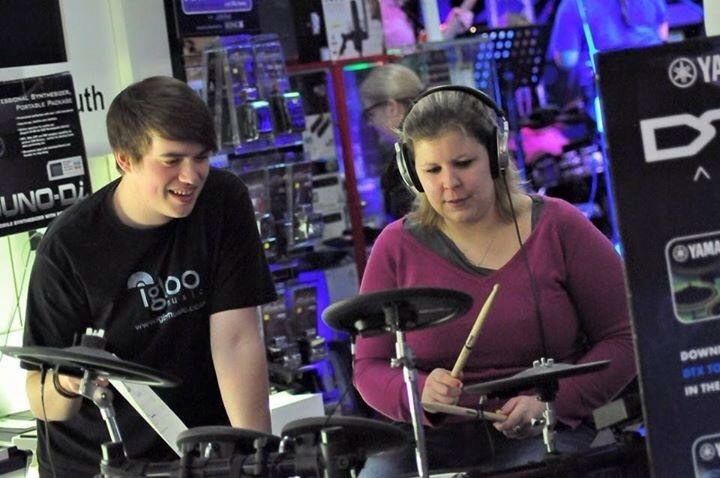 He will take you through the technical aspects of playing the drums as well as learning popular songs. Lessons will take place in the privacy of our studio in the peaceful Hampshire countryside. 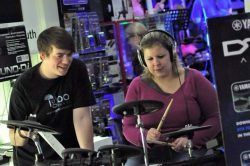 If you are unsure as to whether you will enjoy the drums, you can arrange for a taster session with the tutor to try it out. 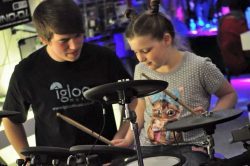 Igloo are happy to offer private drum lessons to learners of all ages, the only limitation being the child’s physical size. If your child is very young or very small, we would need to make sure they have a taster first. This is to see if they are ready to start private drum lessons yet. 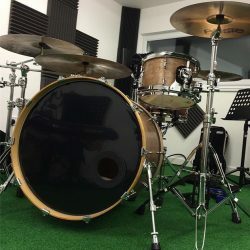 Some young children can struggle to reach the drums or the footpedals as all lessons take place on a full-sized, acoustic drumkit. All materials are provided, including drumsticks if required and Konnor can advise you if you wish to purchase your own. Playing the drums is a great deal of fun and no musical experience is required at all before you can start. 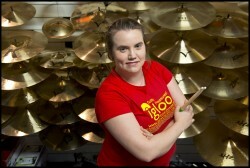 Contact us today to book drum lessons for yourself or your child.